With wedding season underway and a summer wedding I’ve got penciled in my diary, I’ve been scouring the interwebs for the perfect wedding attire (thank goodness for Pinterest!) The one place I keep finding myself going to is Reformation. The fashionable retailer known for its simple yet stunning designs as well as for it’s dedication to sustainable and ethical practices has got your next wedding party in the bag. In fact their Spring/Summer collection is so fab you can easily wear any of their pieces to many events after the wedding. 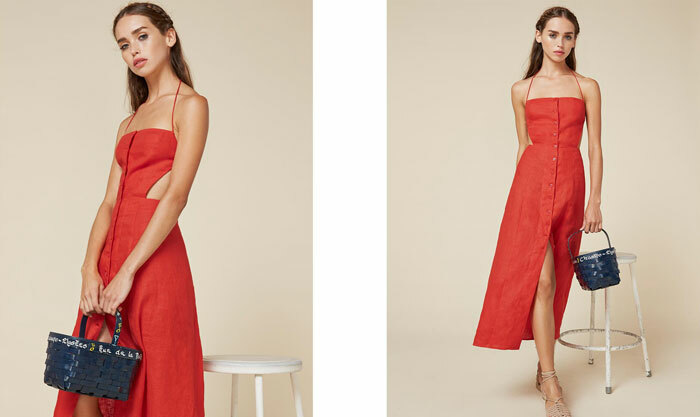 Trust Reformation to produce something gorgeous and recyclable! Shop my favorite wedding-ready Reformation picks below.